A national electric vehicle target of 50 per cent of new car sales by 2030. A government electric vehicle target of 50 per cent of new purchases and leases of passenger vehicles by 2025. Provision of an upfront tax deduction to purchase electric vehicles for business purposes. All federally-funded road upgrades to incorporate electric vehicle charging infrastructure. Labor’s EV policy may have the Coalition frothing at the mouth, but it seems the Coalition is again out of touch with what Australians think – and even Labor may have underestimated the desire for EVs. The interest in electric cars is looking very much like the interest in solar power in the early days, or more recently, solar batteries. News.com.au reports a YouGov Galaxy online survey of 861 eligible voters taken between April 10 and 11 found 62 per cent of respondents either supported Labor’s EV policy or thought it should go even further. Approximately 68 per cent either own or expect to buy an electric car in the future. Full results of the survey were yet to appear on the YouGov site at the time of publishing. Last week, The Australia Institute (TAI) published results from a poll indicating half of voting Australians support shifting all sales of new vehicles to electric vehicles by 2025, with just 28% opposed. 62% also supported a government-led program to an electrically charged transport system – including 55% of Coalition voters, 71% of Labor voters, 78% Greens voters, and 54% ‘other’ voters. Only 16% of respondents were opposed to this idea. “Instead of driving Australia backwards by preserving our gas-guzzlers, any future Government should look to the fine example of countries like Norway who already reached 50% of new car registrations as EVs in 2018 by using popular public incentives to accelerate electric vehicle uptake,” said TAI Climate & Energy Program Director Richie Merzian. Details of how Norway has achieved this can be found in this TAI report. The Australia Institute survey was conducted with 1,536 people between 20 February 2019 and 4 March 2019. 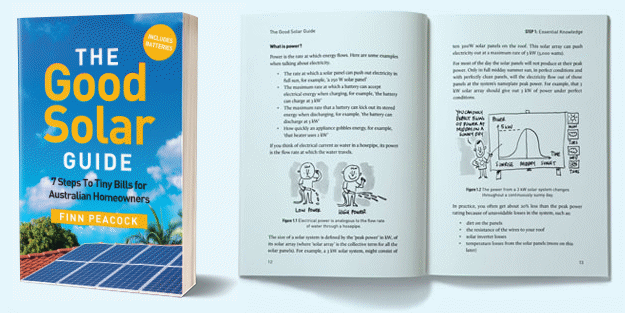 Related: The Homeowner’s Guide To Solar Power And Electric Cars. 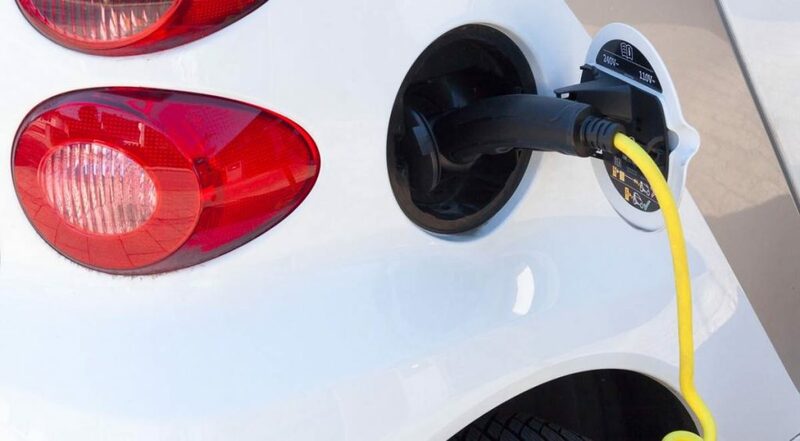 If you are one of the many people who regularly replaces their current car with a new one I suggest keeping in mind that the value of newish second hand petrol powered cars may fall a long way over the next few years. This is likely to be especially true for high performance cars, as electric ones can easily outperform similar priced internal combustion engine cars. This is why the Tesla S sports car is such a good seller in its class. Some indicators suggest falling global conventional crude oil production is beginning to impede diesel supplies. Some data suggests global diesel production peaked in 2015. Global production of conventional crude oil reached its peak in 2008, at 69.5 million barrels per day (Mb/d) and has since fallen by approximately 2.5 Mb/d, with an additional 3 Mb/d fall expected between 2017 and 2040. The level of conventional resources approved to be developed in recent years is well below the demand requirements in the International Energy Agency’s New Policies scenario, creating the risk of a tension in the market in the 2020s. An increasing proportion of global crude oil production is originating from “unconventional oils”, light oils that are generally bad substitutes not suitable to produce diesel and marine bunker fuels. The relatively light density of US shale oil is unsuitable for making several of the heavier oil products such as diesel and jet fuel unless it is blended with heavier imported crude. The US refining system is close to being “maxed-out” on the amount of shale oil it can process, ill-suited for producing higher octane gasoline, jet fuel and diesel. As global conventional crude oil production falls further, global petroleum-based diesel and marine bunker fuel production will likely decline too. A new International Maritime Organization rule comes into effect on January 1, 2020, requiring all oceangoing ships to use low-sulphur diesel fuel. Until now, ships have burned “the dregs” of crude oil, relatively high in sulphur and other pollutants, because it was the least expensive fuel available. Some energy analysts suggest the world’s petroleum industry lacks the capacity needed to supply additional low-sulphur fuels to the shipping industry while simultaneously meeting the requirements of existing customers such as farmers, truckers, rail locomotive and heavy equipment operators. In 2020, it’s likely crude oil prices will rise, sending all petroleum fuel product prices higher. Diesel prices will lead, but gasoline and jet fuel will follow. And it seems that the latest oil data from Saudi Arabia indicates the world now has significantly less (conventional) petroleum oil reserves remaining than conventional wisdom previously estimated. I seem to recall not too long-ago diesel fuel was cheaper than petrol – apparently not anymore. The local servo near me is currently showing diesel fuel is slightly dearer (by 1 cent/litre) than 95-RON ULP (but still cheaper than 98-RON ULP). I wonder whether the 28% of respondents that were opposed to the proposition of 100% EV new car sales by 2025, put by last week’s The Australia Institute poll, referenced in your post above, would have the same attitude if they were aware of the possibility that petroleum-based fuels are likely to become significantly more expensive in the 2020s. Would better knowledge of the issues change people’s perspectives and opinions? I purchased a tesla Model S 3 months ago and will never go back, its amazing! The instant power is like nothing with a petrol engine and is incredible from a standstill. As they get cheaper people will get on board quickly once they realise the benefits of performance, cheap runnung costs and virtually no maintenance. My Small/Medium Diesel SUV gets around 800km per tank costing around $65 to fill in about 5 minutes and cost me about $35K. I will happily replace it with an EV if it is comparable in features and the above, and I can charge it well out of cities and towns. Telling me how wonderful a $140K to $240K car is just shows someone who lives in an ivory tower, and doesn’t understand the realities of life for the other 95%. Labor has announced targets, but hasn’t mentioned how they will be achieved, and if the average punter ever actually understands how this will cost him, they will run the other way. They either make your current car of choice cost so much, that you are forced to go EV, or subsidize EV’s heavily, taking away money for schools, hospitals and other vital things, taking money out of your pocket to let other people with more money than you buy vanity cars. Hyundai charges $20K more for an EV Kona that a top Spec ICE Kona. Until the two are similar in price, why would you do it?